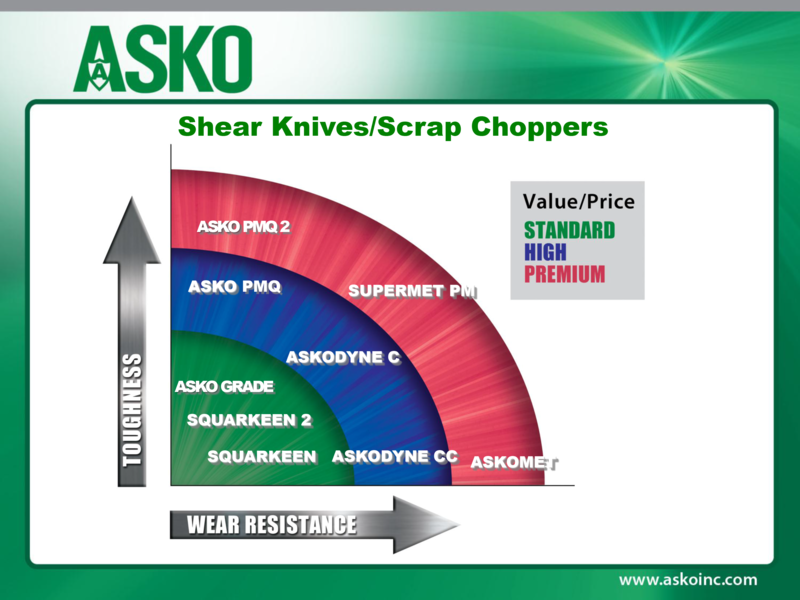 Application Assessments – ASKO, Inc.
Each cutting or wear application demands tooling physical properties matched to unique performance requirements. ASKO has broad and deep experience in tool materials, available heat treatments, and tooling physical properties. ASKO also has broad and deep experience in metal cutting and wear applications. Combining the two areas of expertise, ASKO engineers are ready to evaluate your performance requirements. 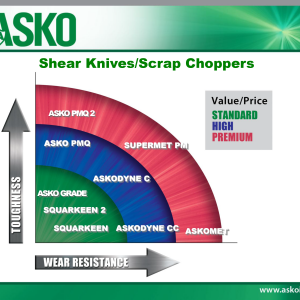 ASKO recommendations result in lowest TCO (total cost of ownership). ASKO tools deliver productivity and quality. For coil slitter operators, ASKO advises on tooling complement configuration. This service assures that you acquire the correct quantity of tools to meet your specific slitting program requirements. Share with ASKO information about your operations and goals and we’ll let you know how we can help you optimize productivity by performing an Application Assessment.